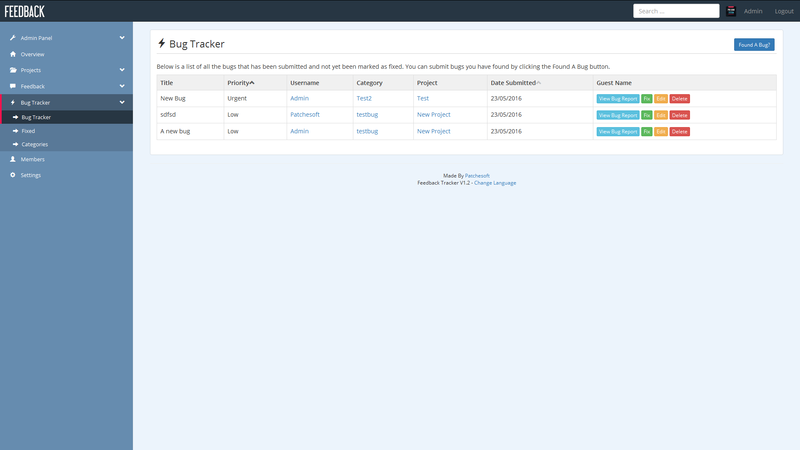 The Feedback and Bug Tracker Mananagement Tool allows you to log suggestions, improvements and quality of life requests about products that you develop, create or manage. 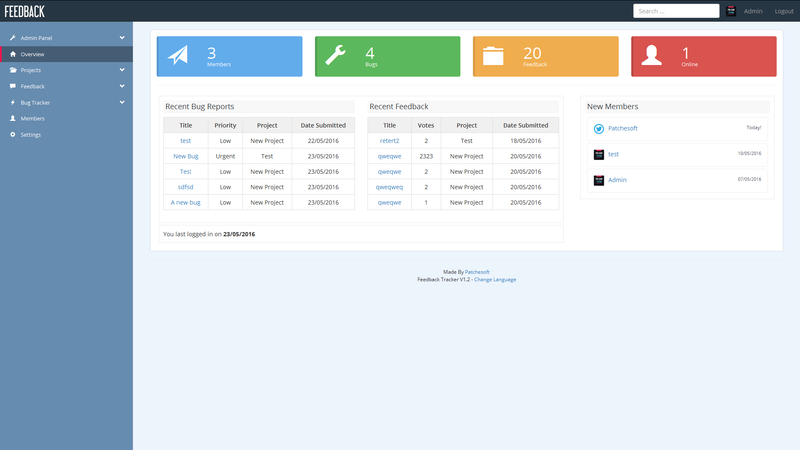 There is also a bug tracker which allows you to prioritise bugs, glitches and other issues your customers report to you, allowing you to manage your software better. Feedback Tracker is also very secure! Uses prepared statements so no SQL Injection! 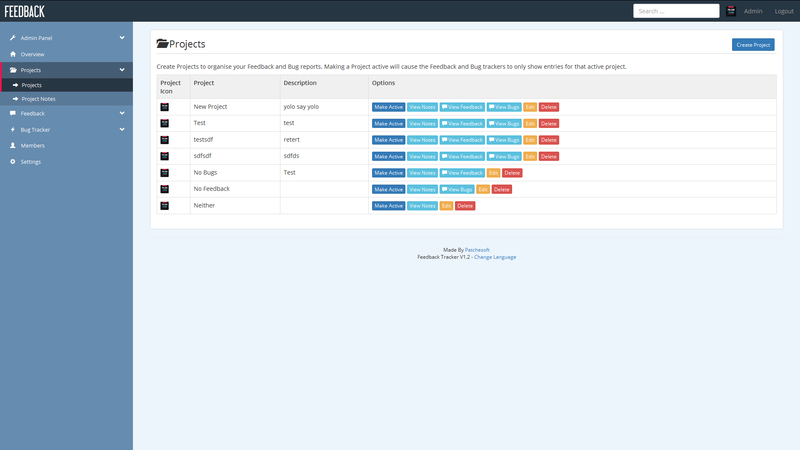 Add Project Notes for each Project to keep track of your updates. 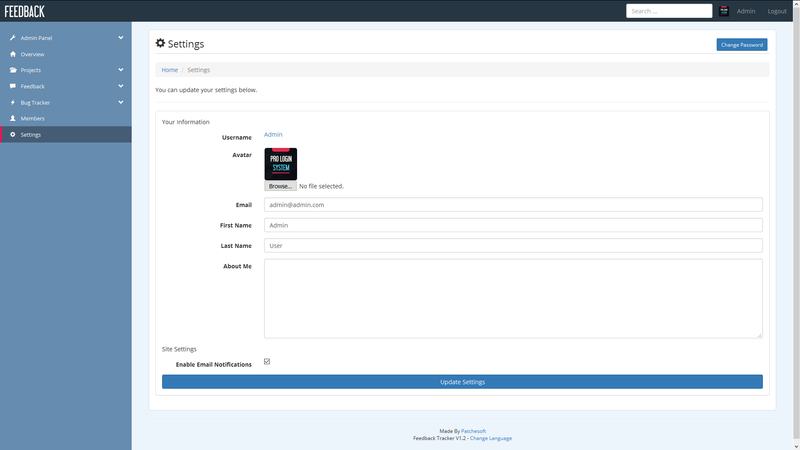 Customise the settings for each individual Project over whether Feedback/Bugs can be submitted. Enable Guest Posting/Viewing per Project. 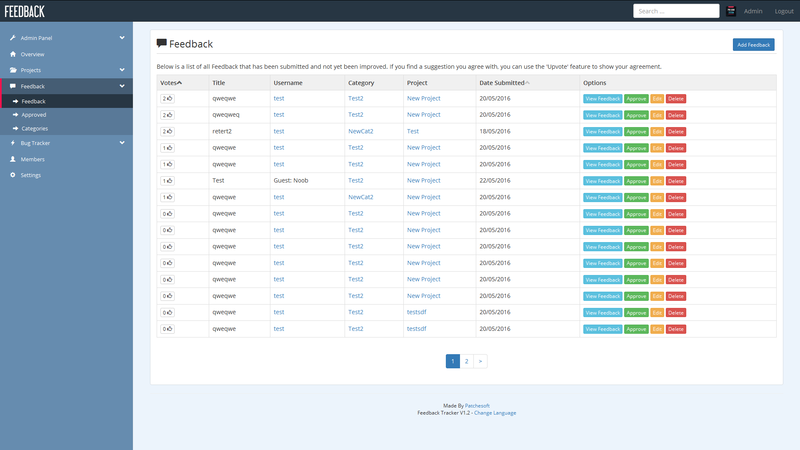 Submit Feedback that allows you to keep track of suggestions made to you by your users. Allow/Disallow guests to post or require them to register and login. Users can upvote feedback so you can view the most wanted/liked suggestions. 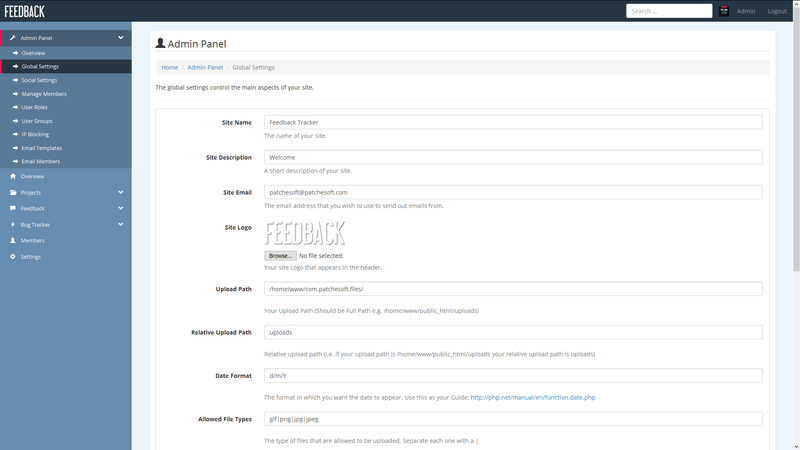 Users can comment on individual feedback. Email notifications sent to feedback creator whenever a comment is posted on their feedback. Feedback can be marked as approved to show you have accepted a users idea. Approved List shows list of Feedback marked as approved. Log bugs/glitches sent to you for each of your Projects using the Bug Tracker. Set each Bug a priority to show which bugs need fixing first. Users can comment on bugs and notification emails sent out to Bug Report creator. Fixed list shows list of bugs that have been fixed. General settings include Site name, description and email. 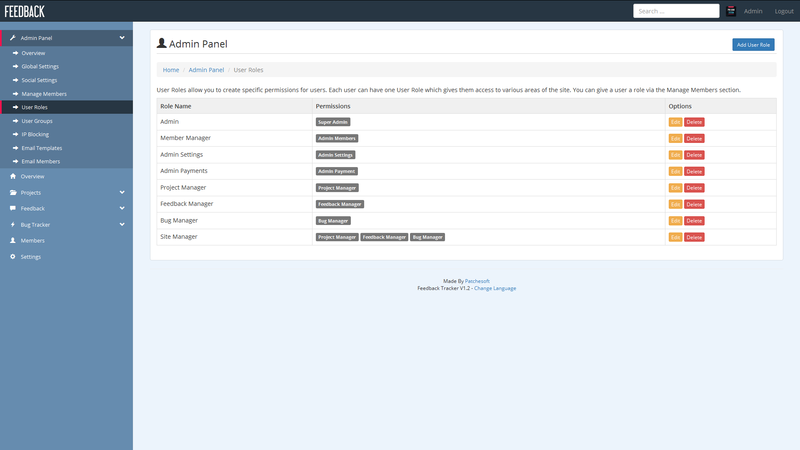 User Panel to edit User Information like email, password and name. 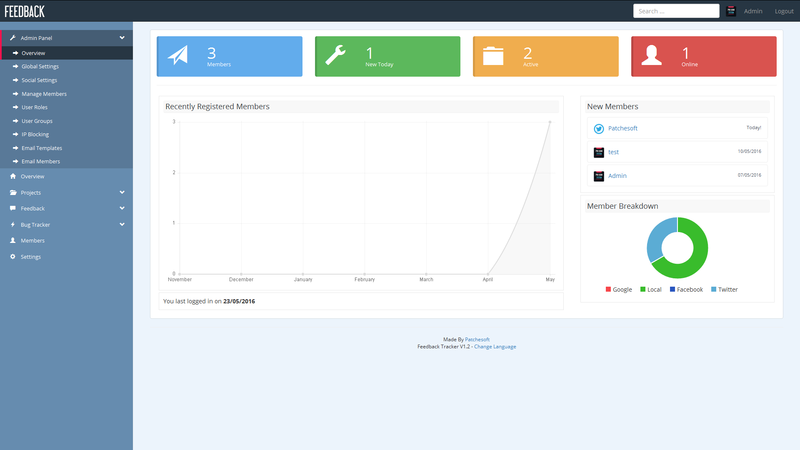 Complete recode and revamp of entire system.